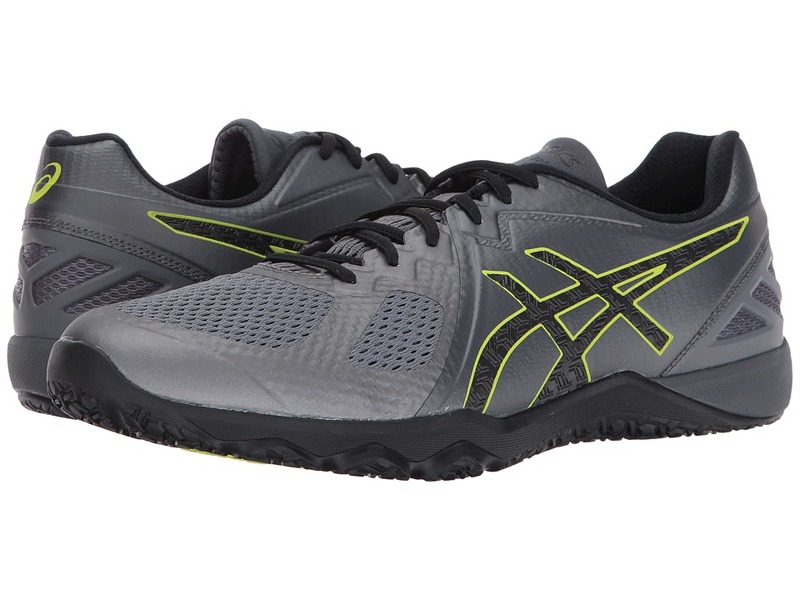 Power through your next HITT session in the versatile performance of the ASICS Conviction X cross-training sneaker. Designed for high-intensity training. Lightweight, breathable mesh and thin synthetic upper materials. RynoSkin technology at the quarter panel helps reduce wear and tear during tough workouts. Seamless upper design for a great fit and feel. Lace-up closure. Lace garage keeps laces tucked away. Lightly padded tongue and collar. Comfortable fabric lining offers a great in-shoe feel. Breathable textile footbed. Firm, flat heel design adds stability during heavy lifts and volume weight training. Heel/Toe: 10 mm/6 mm. Durable AHAR rubber outsole. Imported. Measurements: Weight: 13 oz Product measurements were taken using size 12, width D - Medium. Please note that measurements may vary by size. Weight of footwear is based on a single item, not a pair.